when a Commercial Hvac Rooftop Unit is needed for Office buildings in Bergen County , Passaic County , Essex County ,Morris County and Hudson County New Jersey it come in many shapes and sizes so each structure has its special need that much their HVAC system. Keeping the work space comfortable in all areas while maximizing energy efficiency are among the most important factors that go into choosing the proper HVAC unit for your office building. 24/7 Heating , Cooling & Plumbing is an expert when it comes to commercial HVAC services. Give us a call at 973-816-6370, to discuss heating and cooling options for your office building. We have a wide variety of rooftop units available, which means we can put together the right system that will meet the load requirements for your office building. Our expert HVAC technicians will accurately measure your units performance needs to ensure we install the most efficient unit possible. When heating and cooling large areas any bit of saving goes a long way. If you have a smaller office building, a rooftop system is a great choice because they do not take up extra space inside. You can utilize the additional space in your building for things that really matter, like new equipment or company break area. Commercial HVAC split systems are great because they do not require duct-work. They consist of two components: an outdoor unit and an indoor unit. The outdoor unit is installed on or near the wall outside of the office building. The indoor and outdoor units are connected by tubing and electrical wires. This is beneficial for your wallet and the environment. If you own an office building or commercial property, it is your responsibility to maintain a comfortable working environment. 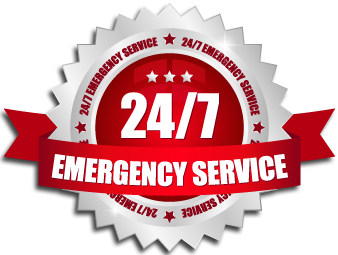 Whether you need to install an HVAC on a new building or make repairs on an older unit, 24/7HEATING SRVICES GROUP has the experience and customer service you are looking for. Office buildings come in many shapes and sizes so each structure has its special need when it comes to their HVAC system. Keeping the workspace comfortable in all areas while maximizing energy efficiency are among the most important factors that go into choosing the proper HVAC unit for your office building. 24/7 Heating, Cooling & Plumbing Group Of New Jersey is an expert when it comes to commercial HVAC services. Give us a call at 201-562-4064, to discuss heating and cooling options for your office building. Commercial HVAC split systems are great because they do not require ductwork. They consist of two components: an outdoor unit and an indoor unit. The outdoor unit is installed on or near the wall outside of the office building. The indoor and outdoor units are connected by tubing and electrical wires. This is beneficial for your wallet and the environment. If you own an office building or commercial property, it is your responsibility to maintain a comfortable working environment. Whether you need to install an HVAC on a new building or make repairs on an older unit,24/7 HEATING HVAC SERVICES GROUP has the experience and customer service you are looking for. Reduce the risk of major equipment failure.